Southampton travel to the Amex Stadium on Saturday to face Brighton in the search of three points, as they continue their fight for survival in the Premier League. The clash could be considered a six-pointer, as Brighton sit just three points above the Saints, albeit with a game in hand. Southampton should go into the game full of confidence, having produced a dramatic turnaround to beat Tottenham 2-1 before the international break. 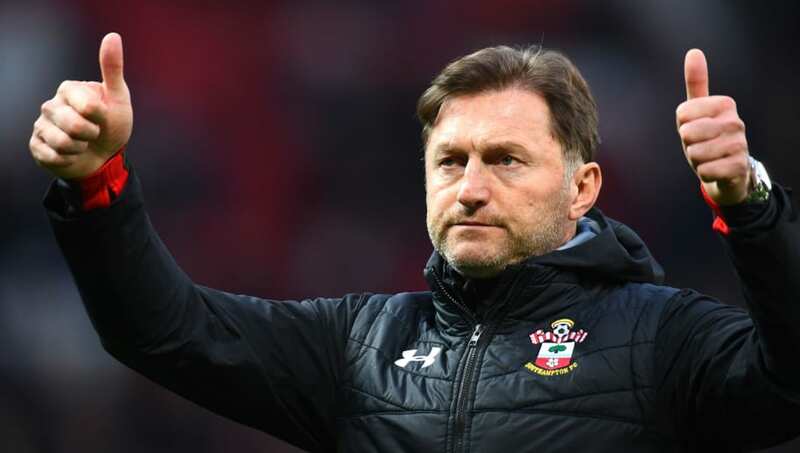 With Danny Ings, Mario Lemina, Shane Long and Michael Obafemi absent through injury, Hasenhuttl should continue to play the 532 he has had relative success with since his arrival in December. Angus Gunn (GK) - Following a man of the match performance against ​Chelsea in January, Gunn has cemented himself as first choice. The 23-year-old signed from ​Manchester City in the summer and has huge potential. Yann Valery (RB) - Cedric Soares' underwhelming performances before his loan move to ​Inter allowed academy product Valery to be given a run in the team, and he hasn't looked back since. The Frenchman has scored in successive matches against ​Manchester United and ​Tottenham. Jan Bednarek (CB) - A mainstay since Hasenhuttl's arrival, Bednarek has been a consistent performer. Maya Yoshida (CB) - A long-time servant of the Saints, Yoshida is another who has been rejuvenated following Mark Hughes' departure. Jannik Vestergaard (CB) - A summer signing from Borussia Monchengladbach, the Dane has been colossal in the air, and plays with maturity despite being only 26 years old. Ryan Bertrand (LB) - At his best, ​Bertrand is Southampton's best LB, and was among the most consistent in the league not too long ago. This season he has struggled but, while Matt Targett is piling the pressure on as competition for his spot, Bertrand has lately been given another chance to show his worth. James Ward-Prowse (CM) - A recent inclusion in the England squad, Ward-Prowse is having his most prolific season for the Saints. The versatile midfielder has six league goals - his latest a free-kick to complete a comeback against Spurs. Oriol Romeu (DM) - Less authoritative than in previous seasons, Romeu remains the most adept in the ​Southampton squad at shielding the back four. Pierre-Emile Hojbjerg (CM) - Already an accomplished but steady passer, the Dane has been getting himself into the box more this season, scoring his first three goals for the club. Nathan Redmond (ST) - At 25, perhaps ​Redmond has not developed as well as he should have, with his end product particularly lacking. However, he is the Saints' only attacker capable of beating defenders with his dribbling and pace. Charlie Austin (ST) - Injuries have been a recurring issue for ​Austin, meaning that his best spell remains his 18 league goal season in 2014/15 with ​Queens Park Rangers. Now 29, Austin has to make the most of his opportunities with ​Danny ​Ings out with injury.